"Viji is a fearless tot who can’t sit still in one spot. She fidgets. She wriggles. And is in constant motion. Poor Viji! She doesn’t mean to be disruptive but her behaviour often annoys the people around her. Nothing seems to contain her boundless energy. Will Viji ever be accepted for who she is? 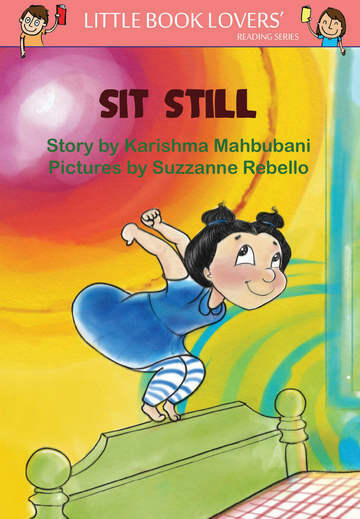 With its lyrical text and playful pictures, Karishma and Suzzane have weaved a potent tale that is perfect for the emergent reader." I really liked this book, I loved the rhyming words too! It was very very very nice! This book SIT STILL is a awsome fun loving enjoyable book i just loved it so much. Viji is very cute. Amazing book. The family has fun. She never sits still. The story rhymed throughout.